TOKYO – Corporate tax breaks championed by U.S. President Donald Trump triggered a tripling of net income at Honda Motor in the latest quarter, multiplying the effects of robust sales. 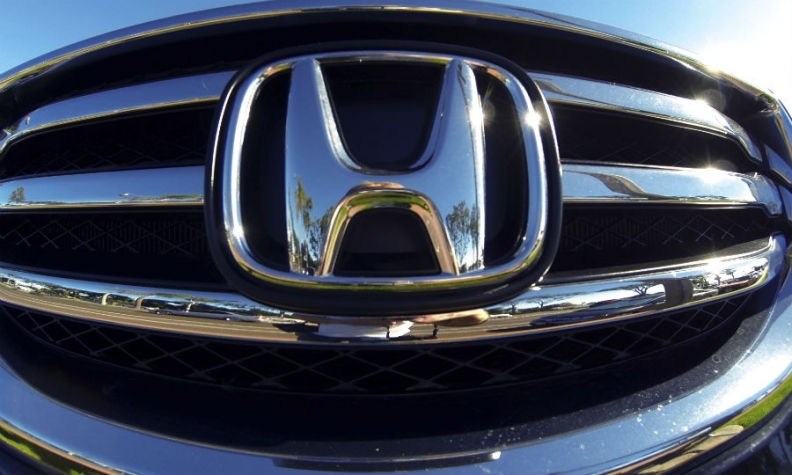 The upbeat results spurred Honda to raise its profit forecast for a third time this fiscal year. The Japanese automaker now expects full-year net income to climb 62 percent instead of decline. In the company’s fiscal third quarter ended Dec. 31, net income surged to 570.2 billion yen ($5.06 billion), from 168.8 billion yen ($1.50 billion) a year earlier. Honda credited U.S. tax cuts for a 346.1 billion yen ($3.07 billion) windfall that bolstered the bottom line. Operating profit climbed 37 percent to 284.5 billion yen ($2.53 billion) in the three-month period, buoyed by an improved sales mix and foreign exchange rate gains, Japan’s No. 3 automaker said Friday while announcing fiscal third-quarter financial results. Revenue advanced 13 percent to 3.96 trillion yen ($35.15 billion) in the latest quarter, as global retail sales increased 2.4 percent to 1.3 million vehicles, Honda said. Booming business in mainland Asia and North America powered the worldwide profit increase, while positive foreign exchange rates helped lift revenue by an even wider margin. Operating profit was helped by a 28 billion yen ($248.6 million) gain from beneficial foreign exchange rates. Increasing sales and a shift of volume toward more profitable models added another 73.7 billion yen ($654.2 million) to operating profit in the quarter, Honda said. Operating profit in Asia, which includes the key China market, surged 35 percent to 111.1 billion yen ($986.2 million), while sales increased 9.7 percent to 578,000 vehicles in the quarter. Operating profit in Japan declined 21 percent. Sales inched ahead 0.6 percent to 174,000 units. Europe bounced back to a regional operating profit of 2.5 billion yen ($22.2 million), from a loss of 4.6 billion yen ($40.8 million). Sales in Europe declined 2.3 percent to 42,000 vehicles. Citing the tax cut, rising sales and favorable exchange rates, Honda lifted for a third time its full-year earnings outlook for the current fiscal year ending March 31, 2018. Honda now predicts net income will surge 62 percent to 1.0 trillion yen ($8.88 billion). It had earlier said net income would decline 5.1 percent to 585.0 billion yen ($5.19 billion). Operating income is forecast to decline 7.8 percent to 775.0 billion ($6.88 billion), a smaller decline than the 11 percent decrease outlined before. Predicting slightly better-than-expected sales in Asia, Honda also lifted its global sales target by 95,000 vehicles in the current fiscal year. It now expects worldwide sales to increase 3.9 percent to 5.23 million vehicles.